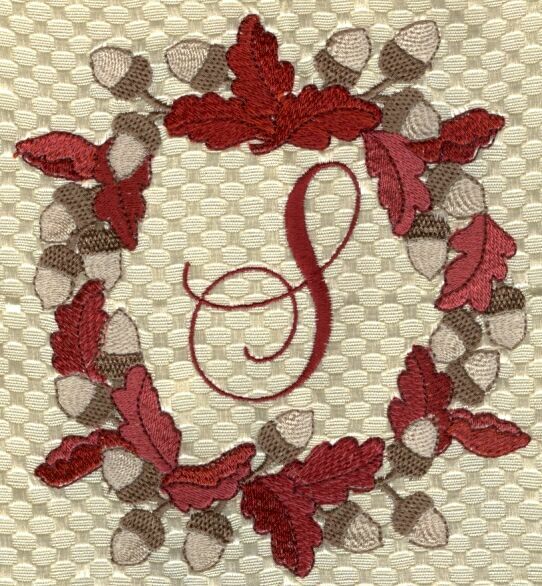 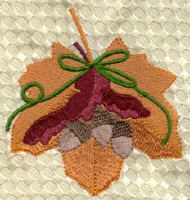 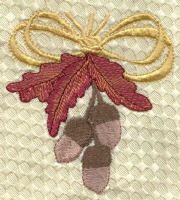 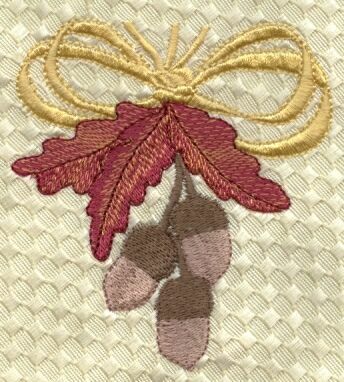 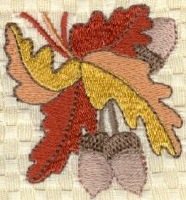 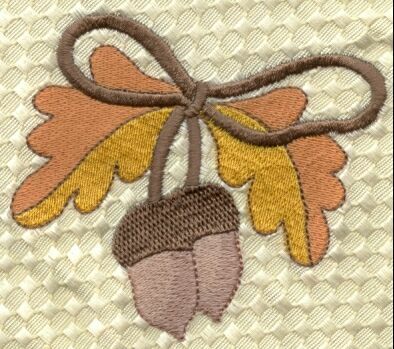 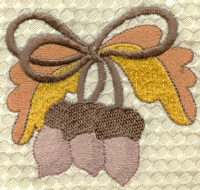 A collection of gorgeous autumn leaves and acorns, perfect for embellishing table linens, clothing, purses, you name it! 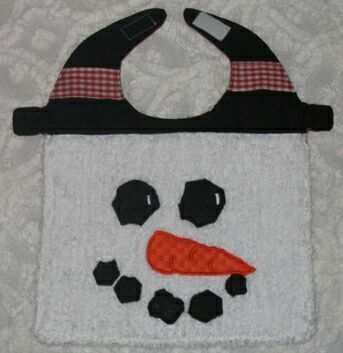 Add the coordinating Cornucopia shown below for only $5 more! 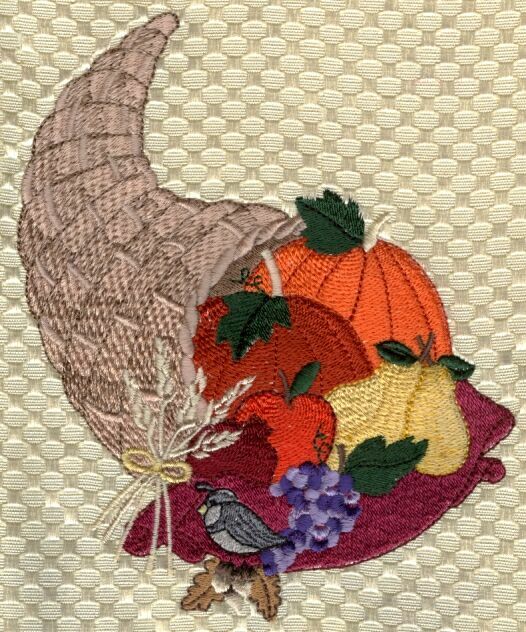 Click on the button below to order the collection or the combo (inc. Cornucopia). as a Mix 'n Match single design. 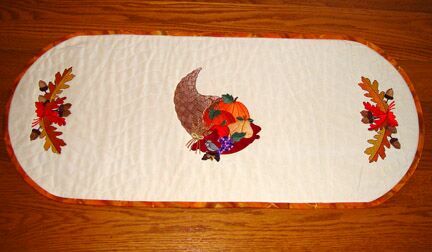 Above is a $7.99 tablecloth from TJ Maxx that I embellished with designs from this collection. 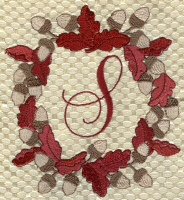 The bottom photo is a close-up of the center. Each corner of the tablecloth has a different acorn cluster embroidered on it. 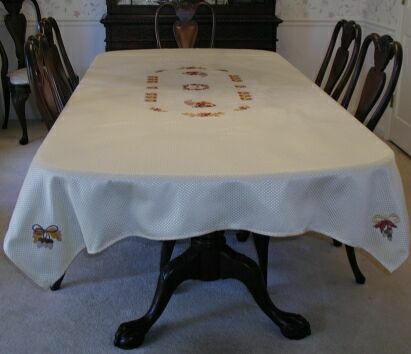 I will do napkins when I find some to match the tablecloth. To the left is the lovely table runner that Betty made using the cornucopia and the spray design.